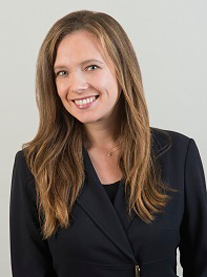 Rachel Linonis serves as the Director of Digital Solutions for the Nathanson Family Resilience Center and UCLA Division of Population Behavioral Health. Prior to her appointment to UCLA in January 2012, she worked as a software developer for the United States Census Bureau and at the Aerospace Corporation generating cartographic products from the MAF/TIGER databases, and provided engineering support for remote sensing systems. During her time at UCLA Health, she incorporated her background in tech and applied it to healthcare, including: leading teams to develop and operationalize Telehealth (video and remote patient monitoring) innovations, as well as developing and integrating web-based behavioral health tools into various UCLA Health clinical service lines. Rachel holds a Bachelor's degree in Mathematics and Geography from Salisbury University, and a Master's degree in Management Information Systems from University of Maryland Baltimore County. She is also a certified Project Management Professional (PMP).